In case you have missed it and you are currently a Patron of our Patreon (https://patreon.com/solus ), please cancel your donation and read https://getsol.us/2018/10/27/in-full-sail/ for more info. Cytat z książki "Dane i Goliat"
Jak widać aby wygrać wybory wystarczy zakleić plakatami całe miasto. Brawo #Lublin! Brawo #Polska! A dream position: any in which I can say "no, sorry, we do not support Microsoft Windows"
Couple more followers and I&apos;ll start to feel like some kind of influencer. 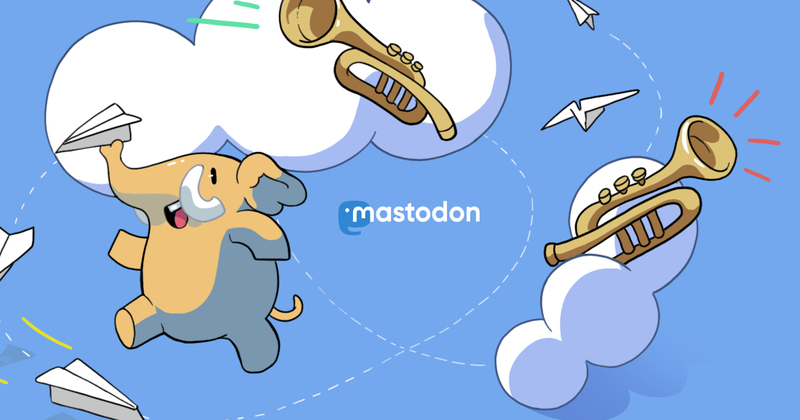 And here I thought that Mastodon was different from other social media platforms... JK 😉 Welcome guys! I&apos;m gravitating towards #selfhosting more and more. What software would be the most appropriate for a beginner? Obviously not a beginner in Linux but all things cloud based. I&apos;m thinking #NextCloud perhaps? When trying to make sense of all the federated social networks or #fediverse I came across this. It reads like a who is who in the fediverse. Google: we&apos;ll be shutting down #GooglePlus. People on G+: let&apos;s set up a group on #Facebook instead. Got my parents to start using Wire & Signal today. Didn't set anything up for them, just asked them to install from the App Store. They were up & running in minutes. They're in their 70s. Your argument that the alternatives are difficult to use is null and void.